About – What is a Progressive School? I am Teacher Tina Zamora and I am the directress of Nest School for Whole Child Development in Manila, Philippines. This blog is dedicated to promote the Progressive Stream of Education. The core of this idea is based on a thesis I wrote for my Master of Family Life and Child Development degree in the University of the Philippines. The title of my thesis was “Philosophy and Program Practices of Progressive Preschool Owners”. I interviewed several progressive preschool and grade school owners in Manila and asked them about their respective schools specifically their curriculum, management styles and issues related to their philosophy. I thought of creating a blog in order to help more teachers understand the progressive philosophy and to implement it in their teaching careers. Pingback: Scouting for a School Series (SSS): Who is the Teacher? « What is a Progressive School? We’ll be moving back to the Philippines come June and I’d like to know if there are any progressive schools that you can recommend in the Makati area. My son is 3 1/2 and he goes to The Child Academy in Shanghai. I know you’ve heard this before but I need to let you know that my son is smart and is a fast learner and retains what he learns, that’s feedback from his teachers. One thing they always say is that they would love to spend more time with him but he learns the things fast so they end up spending more time with the other kids. I’m not sure if you would categorize The Child Academy as a progressive school but based on what you’ve written on your site, it’s pretty similar. My son loves it there and I was hoping to find a school in Makati similar to the Child Academy. Is School of Tomorrow accredited by Deped? Thanks so much! Yes it is 🙂 You can visit their website at http://www.sotphil.net/. Hello t.Tina, it’s me again, as you know, I’ve been ‘silently’ following your site for some time now and so I am sharing an ‘award’ for you at my blog, pls. click here to view (http://mymomfriday.blogspot.com/2009/06/dreary-independence-day.html) just as way to say thanks for having a great blogsite, gain new blogger-friends, and pay it forward. Thanks Joseph! I scanned your blog and I love your header! Yes, I also pray more Pinoy teachers would blog. I hope this starts the ball rolling 🙂 Keep on reading! Hi Suzette! That’s a great question and you know what.. it deserves its own post.. that’s my next article, promise! I think it really depends on the school AND your child. Although most progressive schools are only until Grade 6, there are schools like Britesparks and Learning Paths who have grade 7. My eldest never experienced prom however, she had youth activities in church. And frankly, if you ask her, it doesn’t really make a difference. Choosing a progressive school is , yes, a new experience and sometimes feels risky and scary. This is why I put up this blog so different parents and teachers can share their experiences so you cal learn from them 🙂 Thanks for visiting and keep on reading! We used to be Catholic lay missionaries for Couples for Christ (CFC) based in Timor Leste/East Timor (some of our adventures are chronicled on my blog http://www.trulyrichmom.com) and homeschooling preschool at that time seemed the best option for us. Now that we’re back home (since June 2010), we’ve been striving to make homeschooling work (our adventures are on http://www.teachermamatina.blogspot.com) but to be honest, since my husband is still fulltime for CFC, and I have to work too (we can’t survive on a single income! ), it is REALLY challenging, and most days I question whether homeschooling is for us. I JUST read your comment above i.e. that you homeschooled/homeschool your kids! I find it really interesting (and encouraging) that even if you have NEST, you are homeschooling! I’d love to know more about your homeschooling journey! What curriculum are you using/did you use? How old were your kids when you started? Right now, I’m keeping my options open for the next schoolyear (Philippine sked). That’s why I found myself reading your blog again. We live in Vista Verde and the schools I’m/we’re considering and praying about are Divine Angels Montessori and Kids International Learning Academy. I figure it’s either progressive or Montessori for us, IF EVER we do choose to enroll Tim in a brick-and-mortar school! 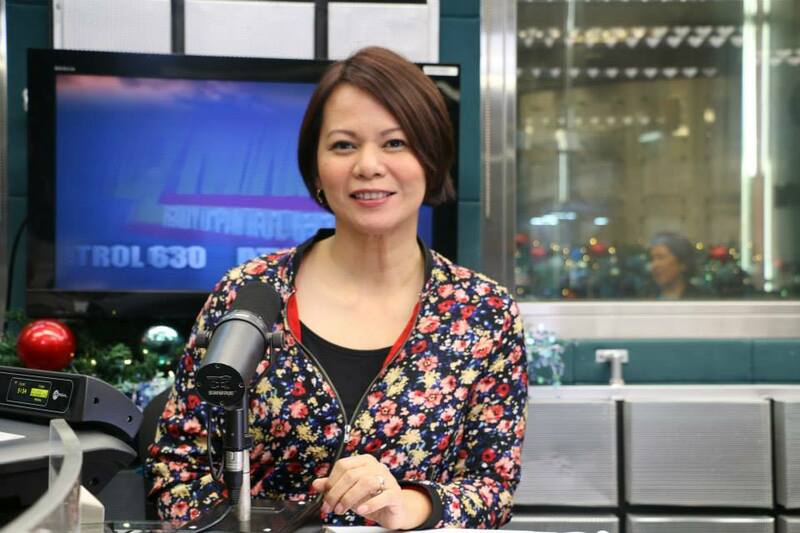 Hi Mommy Tina Santiago Rodriguez! I was reading through your message for Teacher Tine. You said you were considering Divine Angels Montessori and KILA. Are these the ones in Village East? If they are, I just want to give you a bit of info from my own experience. I enrolled my 2.5years old daughter at Divine Angels Montessori years ago because I wanted the authentic Montessori approach for her. We lived at Village East and it was very convenient for us. But, it turned out that Divine Angels in NOT an authentic Montessori school. I wanted to pull my child out from there and transfer her to another school but transportation was a problem. I didn’t know about the KILA back then. Had I known about it, I would have enrolled her there instead. But good thing we moved to QC and found a very good progressive preschool run by graduates of UP FLCD! If you’re looking for a school closer to Vista Verde, I’d say KILA is a good choice. There is another school that I visited years back. I think it was in GreenPark Village (the one near Sta. Lucia, with MiniStop before the village’s gate.) I forgot the school’s name, though. I think it is a Montessori school (not as impressive as FML but better than Divine Angels) that’s worth visiting. But my ultimate advise is try to look for a preschool that is run by UP FLCD graduates. They really know their stuff and are capable of helping you raise your kids well! I’ve got nothing but good words for them! Thanks for making a huge difference in children’s lives! You’re doing such a great job advocating for Progressive method of teaching. I salute you! Mommy Saddie, thank you for your inputs 😉 I will take note of what you said. My husband and I are still discerning well re: our son’s education and our daughter’s future one as well. Is the school you mentioned in Greenpark called “Mariam Claire Integrated School” by any chance? We may pay a visit to KILA soon too, as they have just replied to my inquiry. Right now, though, we will still continue homeschooling, and see how it goes. 😉 God will make a way for us! hello teacher tina. your blog is very helpful in making me understand more about the progressive learning approach. im looking for a toodler school for my first born, 2 year old son. Can you recommend a school within the 5km radius market market, serendra d fort area? My son is not speaking yet that is why i am considering enrolling him this november. Hi Mommy Tanya! Sorry it took long to reply. I was trying to think of the best option for you. You may try Britesparks along Libis. I also hear that Cambridge in the Fort area is good too. Hope this helps! Hi Teacher Tina! I am also looking for a school in the Fort area, although my son will likely enroll sometime early next year. Any feedback on the Learning Jungle School? Thanks. I’m so happy to have found you–I have been looking for Pinoy teacher blogs. 🙂 You’re the first one I found! Hi Mommy Mars! Thanks for visiting 🙂 You also have a nice blog! Like many parents out there, I am looking for a good progressive pre-school for my 4 year-old son. Any suggestions in the area of Makati/Fort. I read your blogs and I will try Cambridge and Mother Goose. Any other schools you know? Hello! I am seriously contemplating on transferring my 1st grader from a traditional school setting to a progressive one. Though she gets excellent grades in her current school, she complains that she doesn’t have time to play or do other things anymore. I see her get tired from studying sometimes. I tutor her everyday because she has homework, quizzes, seatwork to study for. So I would really like to explore the possibility of enrolling her in a progressive school. do you have any advice on how to go about it? Or can you give names of the better progressive school in metro manila? Thank you in advance! Congratulation I learned a lot from you. I’am with Tumble Tots Preschool at Libis also a progressive one. I’m happy that there is an organization of all progressive school in Manila, I hope you can send us an invitation even just an audience to your events because our school caters more on toddlers (6 months to 6 years old) we might not be able to join you on your other activities. From Tumble Tots Preschool… GOOD JOB! Victory Christian International School is an excellent progressive school accredited with Dep Ed. We also have a Homeschool program. Our address is: 339 Robinson Circle, Capt. Henry Javier St., Pasig. Contact no. 671-8505. Hello Teacher Tina. Have you heard of the Meridian International Learning Experience School at Mother Ignacia? Hi Pam! I believe that’s the school connected to Bread right? Hello again, Teacher Tina. Yup, it is. Do you have feedback regarding that school? I am geared towards enrolling my child to a progressive school, but when I asked about Meridian’s curriculum, they told me they are a traditional school using non-traditional methods. Hi Pam! Hhmmm, I’m kinda wary with the “traditional school using non-traditional methods”. Did they explain it? Hello Teach Tina. They just explained that they apply practical and “edutaining” methods in their classes. They also have a very small class size; 18 students to one teacher. My other option is Multiple Intelligence International School. As long as they can defend and clearly define their philosophy, vision and curriculum, Pam. Here is my personal experience and observation with multiple intelligence international school in katipunan. I enrolled my 2 children in MIIS for 2013-2014 school year, because it was said to be a progressive and international school. My then 7 and 9 year old children were placed in grade 3 and 5 respectively. My expectation of a progressive school is that the approach would be individualized. I did not find this in MIIS. My daughter who excelled in English in her school in Singapore and was even writing 10 page reports then, was only asked to write sentences (5-10 sentences) in MIIS. My daughter found her English class to be too simple. My daughter finds Math difficult. When I met with her Math teacher in MIIS, to get a progress report on my daughter, the teacher only said that my daughter was doing very well. When I asked my daughter, she said she was having difficulty with fractions and decimals. So I had to go back to her Math teacher and ask for additional worksheets. My expectation is that the teacher should have been able to assess her students and know when they need help or not. Those are just examples of how I found the school to be lacking in providing students with an individual approach. MIIS does not also teach mental math which is important for me. They are also heavy on textbooks and worksheets rather than having students do their own research. The school has some good ideas but the teachers of my children were not able to teach well. For example, the school had an initiative on energy conservation where each student had to write their monthly electric consumption. Good idea. When I asked their teachers what specifically they were teaching on energy conservation, the only thing the teachers told me was how energy was formed! Very different! To make this long story short, I was very disappointed with MIIS and after only 1 year and despite the fact that both children were getting a grade of 90 and above in all their subjects, I have transferred my children to another school. I am very optimistic another their new school! Hi, this is Gary, Admin of http://mom.exchange.ph. I’m looking for Philippine Mom Blogs that talk about parenting, finance, breastfeeding, pregnancy, raising teens, education, discipline, etc., and I came across your excellent blog. I’d like to invite you to join our Mom Network! However I couldn’t find your email address or a way to contact you on this blog. Would you mind emailing me at ghmercado@gmail.com so I can reply and send them to you? HI Gary! Sure 🙂 I’ll send you mail now. Hi Mommy Gwen! You may e-mail me at info@nest.ph. Hope to hear from you soon! Hi teacher Tina! Wow, your articles are so inspiring and educational. There’s hope for our educational system. Anyway, I’m seeking your help for my son. He’s 7 yrs. old now, diagnosed with ADHD with Learning Difficulty. He’s currently enrolled in a progressive school as Sr. Kinder, and he’ll be incoming grade one. But the problem is, his school does not have a SPed program in grade school. Thus, the need to find an appropiate school for him ASAP. We live in the Libis area. Please help, because I’m running out of options. By the way, are you the one in the Sikatuna area? I would like to ask if you have summer programs for preschool? my daughter is 2yrs and 3 months now..i would like to enroll her sana. Thanks. Dear Teacher Tina, Thanks for your very informative site. I just hope you will also feature the difference between a Montessori school (the authentic one) and a progressive school. I’m getting the idea that Progressive school is very similar to an authentic Montessori school … both are child-centered, children learn at their own pace, children use manipulatives to learn, there are no exams. I had always wanted to take a Montessori primary teacher training course but now that I came across your blog I’m actually considering taking a Master of FLCD course in UP. Did you also study Maria Montessori’s Works while taking the Master of FLCD course? I think she has a very important contribution in the field of early childhood education. Hi Elan! I studied Maria Montessori’s theory while taking my Master of FLCD degree. I’m happy that you’ve decided to study ECE and I hope you do consider MFLCD! As you know the UP FLCD pioneered progressive education in the country. Though similar, Montessori and Progressive also differ in some aspects. Why don’t you swing by at our fellowship about progressive education on Saturday, March 27, from 4-6 pm? I’d be glad to talk to you about it. Hello and thanks very much, I’m on it. One thing more, I know there’s no such thing as a perfect school, but in your honest opinion, would my son also benefit from a Montessori setup? Or should I stick to a progressive style of teaching? Thanks again in advance. Godbless. I am planning to enroll my 4 year old daughter this year. Reading your blog about the benefits of a progressive school system I am convinced that this is the kind of academic experience i want for my child. I live in San Fernando City Pampanga but am not really from here so I really am having a problem on where to enroll my child here. I have received a very good education from Silliman University and I want the same for my child. Do you (or your readers) happen to know of good schools here in San Fernando? Please… anyone, help! This is quite a wonderful blog you have. My daughter is an incoming second-grader and we’ve recently moved to Kapitolyo, Pasig from Quezon City. Would you recommend any progressive schools for her here in Kapitolyo or near our area? She’s been with Raya School since Kinder. I just love how much fun she has learning through the “progressive” approach. Hi! i really need your help…..im from Binangonan, Rizal, my son is an incoming grade 1 and he already passed the entrance exam at San Beda Taytay but im having second thoughts about enrolling him there….there’s another school im considering though, the Little Farm School in Antipolo which claims to be a progressive school, any feedback? thanks in advance……. Ms. Tina, I hope you can post the requirements of putting up a progressive preschool. I am planning to put up here in Cavite, there are few schools here that implements this approach. It is not because Id like to be a businessman, it is because I believe in my philosophies and teaching is my passion. Thanks again and continue posting blogs because I can actually use them in my classes. I am currently taking up MAECED at DLSU Manila. More power! Hi Elaine! Thanks for dropping by! It’s good to know that you want to put up a progressive preschool. Just keep on reading and I’m sure you’ll be a better teacher and soon-to-be school owner. hi there. i was wondering if you can recommend a progressive grade school in the makati area. we live in salcedo and currently my son (5 yo) is studying in a montessori school in (faraway) katipunan. i would like to enroll him in a school nearby if there’s one. hi! are there any progressive schools in the south area (las pinas, alabang, cavite)? will there be a seminar about progressive school in the future here in the south as well? Hi, Teacher Tina! My kid will be turning three this October. since summer, hubby and I have been scouting for a progressive near our place in Novaliches, (North) Caloocan City. But unfortunately, the nearest we could find is in Lagro. Where my child would have to travel 15-20 minutes depending on the traffic everyday and to add to problem, the school service couldn’t accommodate my child anymore because of the distance. Haist! So I woke-up one day and contemplated on putting up our own progressive school in the area. The problem is I don’t know where to start. I hope you could help me out with this one. How do I put-up a progressive school? Another thing, just in cae I’d be able to put-up this dream school, is it wise to enroll my child under my “teachership? Hi Mommy Ivy! I suggest you take the Master of Family Life and Child Development degree at the UP College of Home Economics in Diliman. hello teachter tina! i enjoyed reading your blogs. most progressive schools i have seen are “international school” in their name. An international school for me usually means high tuition fee. Could you give an overview of the tuition fee in progressive schools? Thanks in advance! hi teacher tina, my 8 year old son was diagnosed of having symptoms of ADHD. he is currently enrolled in a traditional school. he recently took psychoeducational evaluation and the result for his intellectual capacity was great. he got a composite test age of 15 years old for his NNat battery test. but the recommendation by his diagnostician was to retain him in a traditional school because he needs a structured curriculum daw. pero we were also thinking na baka di talaga siya nagpifit in sa traditional school kaya he gets easily bored talaga, plus the fact that his IQ is a bit high pa. can you please suggest an appropriate school for him? right now, we’re doing a behavior modification in our home. I am thinking of manila waldorf or multiple intelligence school pero both of their tuitions are so so much high. since we are from QC, his diagnostician suggested that we enroll him in a traditional but small school like NEO vision in panay ave, QC. can you please help me decide? thank you very much in advance. hope to hear from you soon. Hi Teacher Tina, I’ve been reading a lot about Progressive schools in your blog and it’s been very helpful to me. I sure hope though that there is a progressive school here in Las Pinas City. 😦 If you know any, please let us know. Thank you very much. You have been very helpful to parents! I hope you can provide a list of progressive schools in the Philippines since most of the bloggers are requesting for it. I am more interested in schools located in Paranaque and Makati. Thank you in advance! We stumbled upon a segment featuring your school while in the midst of school searching for our prep-ster. We are finishing our last year in a Montessori pre-school and have checked schools within our vicinity. Thankfully, we were enlightened that there are other options we can consider in choosing schools. While undergoing the application process to one of the traditional schools we’ve already encountered a not so pleasant experience that makes us question the suitability of sending our child to them. If only Nest were nearer our place in Pasig we would wholeheartedly apply there. You’ve mentioned Britesparks in one of your previous articles, so we might visit them soon. Thank you for being a wonderful resource and more power to being an advocate of progressive schooling in our country. Thanks for your kind words, Mommy Jus! Keep on reading! I’d like to ask if you have a list of good progressive school here in metro manila? Hello, stumble on your blog during my search for meaning of progressive school…first and foremost, Progressive school is being used in States right? that’s what the principal told me, so meaning the rules of not letting parents see the book materials as directed by the philosophy of Progressive should apply. no homework is fine with me, but seeing no improvement with my child in his studies, we parents dont have the right to question the curriculum of the school? is progressive school also applies to having classes at around 830am or whatever time the teacher likes to comes in, how about the days of the week…should it be also only three days a week? do hope to get more information from your blog…. have you heard about this school? (D’ MARCELA BACANI AGAM ACADEMY) here in pasay, is this accredited by DEPED? coz i want to make sure if this schools is accredited by DEPED before i enrol my 5 year old son…tnx and GOOD DAY..
Is OB Montessori a progressive school? Montessori and progressive styles of teaching are different. my 7 1/2 yr old son is now undergoing therapy for ADD combined type with ODD. i didn’t enrol him this school year bec i’m confused on what school is appropriate for him. he’s an incoming grade 3 and had spent 2 years in a Christian ACE school ( School of Tomorrow curriculum). he’s advanced and smart but his teachers were always complaining of his behavior, i still want to enrol him this 2nd quarter. what do you think is the right school for him? we live in mandaluyong. hi teacher TINA! my daughter is in 1st year high school. she transferred from a montessori school to a traditional all-girls school here in our place. my problem is, she ‘s getting low grades in almost all her quizzes & seatworks. she was an honor student in her previous school & i’m quite worried why she isn’t coping. when she took the entrance test, she passed it but the school admin/registrar forewarned us that the subjects in 1st year high were already taken up in grade 7 so they advised us to brush up on her english & math. we weren’t able to find a good tutor lat summer & just hoped that she’ll be able to catch up & cope. but i guess, i was wrong. what is the best thing to do? you mentioned that you homeschooled your daughter who was in high school then. what homeschool did she go to? i’m considering that option for her at this time because of what is happening. thanks for whatever advice you can give me. I’m reading your blog and it cought my attention, we’re moving back to Philippines in ( binangonan,riza ) with our 4 kids I have 3 of the in grade school just wondering if what school would you recommend for them.they don’t know how to speak tagalog and they don’t understand it either …that’s why we’re looking for school that use english language in teaching inside classroom…thank you very much…. Hi teach! Can you recommend a progressive school with elementary? My daughter is in prep now in a progressive school and we would like to enroll her in a progressive school next school year. We are looking at alabang or bf paranaque area. Thank you very much! Hi Teacher Tina. My son has PDD-NOS and I am quite stressed about finding a proper school for him. He as been working with several Therapists since he was 2 years old. He currently attends pre-school in Makati. He will be 6 years old next school year. I hear Progressive schools may be good for him or schools that accept a number of Special needs children. I live in Makati. Do you know of any good schools for my little boy in the Makati & Fort area? I would love to hear from you. By “progressive school” most people seem to define it as pre-school. I am curious about the existence and conscious interest in pre-schools, although so-called progressive education for elementary and high school seem non-existent, at least for the general public. I am interested in progressive education accessible by the people for the high school and college levels. Teachers and administrators interested in discussing this topic are welcome to contact me. Can you recommend a progressive school somewhere in South (Muntinlupa, San Pedro, or anywhere in South). My daughter is in grade 6 now, and at this early, we’re looking for a more suitable school for her. Though she progresses every year, you can just imagine the difficulties and struggles she (and us) went through to be able to cope with traditional school. My daughter was diagnosed with ADHD since age 4, and overtime was released from OT and SPED. I appreciate your response on this. Thanks. I’ve been researching for preschools for my daughter. I know there are schools offering progressive approach, but there are some who have different methods of instructions like Thematic, High/Scope approach. Is it almost the same as progressive? Hi Mommy Dorothy! Progressive Schools may have the same progressive philosophy with different approaches in teaching so your examples may still be progressive. Hope this helps! I desperately need HELP! I have a 9 1/2 yrs old son who studied in Bahrain,Qatar & Egypt. All american Curricullum and now we are still waiting for my husbands working permit. we are an EXPAT, i’m a filipina and been living abroad for the past 15 years. I do not know where to enroll him. He was requested to see a phsycologist when he was in grade 1. But the result was negative to ADHD. The tester said that his I.Q. is actually high. He improves as he grow older but so lazy to do homework. He has a problem in focussing coz he talks a lot! Teacher has to remind him to concentrate most of the time. Is this progressive school will be accepted internationally? I’m thinking of doing Home schooling but I do not know if I can handle that! I have no patience on him specially if he is not focussing. We live in Mandaluyong, I would prefer if it is not too far from where we live. My son is half German/ filipino and doest speak Tagalog. I am considering Victory International School but it’s a bit far. Can you suggest a school for him? i am so glad i bumped into your blog. i am currently in a dilemma as to what school i should put my son. he is 3yo and has developmental delays. he is now ready for speech but i was told we should also enrol him in school (sped and eventually mainstream). any suggestion please? we are located near SM Bicutan. thanks. just want to ask if you know any good progressive school in new manila? they have chinese lesson as well. hi Teacher Tina. it is unfortunate that i wasn’t able to send my youngest son to a progressive pre school and grade school 😦 he is in 3rd yr high school now. are there secondary schools who adapts accelerated learning methods too? or a progressive school? what about colleges and universities? Hello i’m looking for a progressive school for my daughter who will be grade-3, next school year. thanks! i’m looking for a progressive school for my daughter who will be nursery by June , next school year. thanks!just want to ask if The Seed Montessori School in quezon city is good? I went to their website and filled up an on-line form to ask questions. I did it 3 times already.So far, I have never received any reply from them. I’m just wondering to myself now that if they are this “indifferent, unresponsive and unattentive” to the inquiries of interested parents, can we expect them to be “responsible, attentive and responsive” to the needs of our children??? Hi Teacher Tina, Im looking for a Progressive or Montessori School in Pasay / Roxas Blvd. area for my daughter who is now 4yrs. old . Im new in this place since we lived in Paranaque before and i don’t know where to scout for a pre-school. Can you help me by providing a list of schools so that i can start inquiring for the coming school year. Thanks so much in advance… God Bless! Hi teacher Tina. Can u suggest progressive school for nursery this coming school year within q.c. Which has already grade school (I’m a right?). She’s enrolled with Apple Tree Integrated School for pre nursery. She’s undergoing ST and OT for almost 3 months. Hi Teacher Tina, I’m looking also for a progressive school in antipolo city, can you suggest me, because i want to transfer my son, he’s studying in ECA but in my observation there’s no improvement for my son…thank you…. Teacher Tina, super need your help…starting to feel the stress… Don’t know where to start as I want to have my son attend a good school to nurture & equip him properly… My son is turning 4 this May, help help if you can reco progressive school in Manila/Makati? Wish to give him his first 2 years a good prep, then and transfer him to a school at The Fort/Makati area soon as he reach 8yo. We are living in Malabon at present but we’ll transfer to The Fort by 2016…. Planning ahead and really need your expertise and help. good day!can you please help me.I’m looking for a progressive or montessori school here in san narciso zambales or nearby town.i know some but im not sure kung ok b talaga curriculum nila.and kung authentic ba yung montessori dito.my daughter is 4 yrs old. Looking for an available slot in Nest. I have a grade 4 son now turning grade 5. I am interested in putting him to Nest, because of my interest in helping him and got really persuaded by your Blogs. Is it still possible to transfer him? Hi Mommy Joy! you can call Nest at 4347601 and look for our registrar Teacher Ana for the admission procedures. Hope to meet you soon! Hi teacher Tina, I’m currently looking for a preschool in Manila or Makati. My child has motor skills delay and her dev’t doctor advised us to get her into a small school with less than 10 students or into a progressive school…I found 2 progressive schools in Makati : (1) KPLP or Kids Play Lab Preschool, (2) Schola Progresso. I’ve talked to these schools thru phone only and they were very accomodating naman, but I’d like to know more sana about them specially parent’s views or comments from readers of your blog. May I ask for your expert opinion about “The Seed Montessori School”? Thank you. I would like to ask if Summit International Pre-school at the Fort is good. I know that they follow the Bank Street Curriculum same as Explorations School in Mandaluyong. 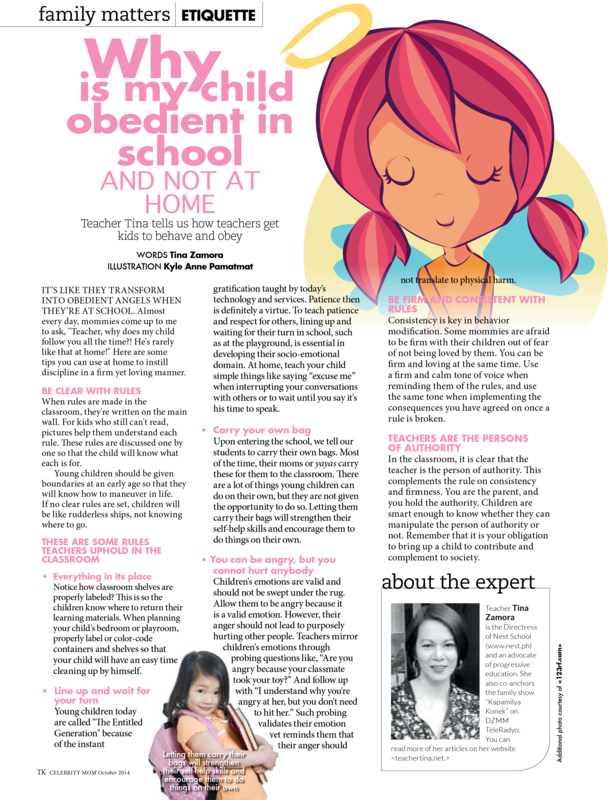 My daughter is going to pre-school soon so I want to explore all my options in choosing the best pre-school for her. My daughter is going to preschool soon and I would like to know if Summit International School at the Fort is a good school. They follow the Bank Street approach same as Explorations School in Mandaluyong. I want to explore all my options in choosing the best preschool for her. Great move! Regards to Teacher Francie and Teacher Fe! My daughter is currently enrolled in MIIS preschool. We are very happy with her progress. Now that we were offered a slot at UP CDC, do you think it would be good to transfer her there? I am not sure how UP CDC is compared to MIIS but a lot of people say we’re lucky to get a slot. Mommy Jean, when my daughter got a slot in CDC, I felt like I won the lotto! Yes, it’s that hard to get in because of their lottery system. BUT, if you are happy with MIIS already, there should be no pressure to transfer schools just because of the availability of the slot. Can you please comment on waldorf schools. I am presently looking for a school for my 6 year old daughter around sta rosa area or quezon city area . i dont know what to choose between montessori or progressive school for my son (4 1/2 yrs old). he can’t speak that well. prang speech delayed. my husband and i are both working.. he’s with his lolo and tito but hndi sya gnon nkakausp. puro tv lng. he can speak english and sometimes di nya pa maintindihan ang tgalog so tinatranslate q pa into english.. madaldal sya but sometimes i can’t understand what he’s saying. i sent him to a traditional school near our area. 5 students per class. and ngyon ko lng nalaman na, he can’t recognize some letters in the alphabet. pag ako ngtuturo nakukuha nya kgad. even his teacher told me, na natututo lng sya dhil skin.. we live in mandaluyong. nagcheck nko ng ibng progressive school kso di ko reach ang tuition. super high. can you recommend any progressive school which has a tuition fee ranging 40-50,000.00.. may montessori akong nkita 50,000 sya for whole year. pro nguguluhan tlga ako wat to choose for my son…. Hi! Would just like to ask for any feedback on cradle of joy in scout area. Online reviews have been mixed. Appreciate it a lot! Thanks! @FOCUS92. I saw you post and I just wanted to help you out. Our daughter too goes to a progressive school. We feel that the traditional method is “too limiting and restrictive” so we decided to send her to a progressive school because this method of teaching brings out the best in kids since they are allowed to be more expressive and experimental. Anyway, the good progressive schools I can suggest to you in Q.C. that accept “special” cases are: Benedictine International School (Capitol Hills, formerly Benedictine Abbey of QC, “blended progressive and traditional” approach, many foreign students, TF is around P90T); JASMS (along EDSA near GMA. They are THE pioneer of progressive teaching in the Philippines. They are now owned by the STI Group. TF is about P40T); Angelicum College (next to Sto. Domingo Church, progressive and Catholic, TF around P45T). I hope this helps. Good luck. @RMaleeka: Hi! We’re considering Benedictine IS, any specific feedbacks/experiences you can share? That would be of great help. Thank you! @mary, if you’re just in pembo, there are lots of school inside the fort..
My son just turned two last May and we are considering to enroll my son in toddler school, can you recommend any toddler school near Cubao Araneta or San Juan City Area which uses either progressive or DAP method of teaching. My son took kindergarten in CSA. Will find new school due to lack of budget to still continue there. I don’t have prob in terms of his interaction. Actually he’s very sociable, friendly and very makwento. He’s also good in Math and science. Mahilig rin sya sa mga mind games. But his reading skills ang prob ko. He speaks really good english. But he’s having a hard time reading and spelling. Since he gets bored easily. Short ang attention span. He’s turning 6 next month. And I still don’t know what school would help him with his reading skills, since he gets very impatient nga. Also nasa 50k budget lang rin. I really need your help. Hi again teacher Tina! Probable ADHD ang son ko. What type of school ba would best fit him traditional/progressive or monterssori? I oouldnt afford to send him to a SPED school. And I’m also after the location, sana Mkt area lang. Also nasa 50k lang ang budget. He is very friendly, sociable though. Also good in Math, science and can speak english very well. My problem lang he can’t read sentences yet. He gets bored easily kaya naisip ko it coud be a big factor na wala syang patence magbasa. Kahit turuan ko rin sa bahay. I’m also considering home school. But I’ve no idea with the rates. Baka sobrang mahal di ko afford like SPED. I badly need your help. Panic attack na ako cos its almost July. I enrolled him already but withdrew from this school cos first 2days nya Tagalog daw ang salita ng adviser the entire class. He had a hard time and was clueless the entire class. So now I’m lost and I don’t know what school will be good for him. Na affordable and in Makati na makakatulong talaga for him. I hope you get to reply to my post. Thank you. I would like to know if you can recommend any progressive schools down South (Alabang). I am looking for a school for my 5 year old son. First of all, I am so glad I found your blog. I have been searching for 3 straight weeks for a appropriate school for my son who will be turning 3 this september. I am from laspinas and would like to ask your advise which school should I be enrolling him. My target is to get him to ateneo when he turns to Grade school. Given that wishful thinking; my dilemma is: should i enroll him in a montessori or progressive school? Is maria montessori in alabang a good foundation? Or should i put him to cambridge alabang? Any inputs on Young Creative Minds? I would really appreciate your inputs and if there are other good schools in laspinas or alabang that you can recommend, I will be very grateful! I was wondering if you know any progressive schools in san pedro laguna… I’m really not a fan of traditional schools and it’s quite hard to find progressive schools at my place. hi teacher tina! im mommy carissa from makati city…my son is 7 yrs old currently in sped school, as per the latest doctors assessment he improved a lot and is ready to attend progressive school..would you know any school here in makati that is accepting kids from sped school?the current diagnosis as per the doctor is social pragmatic communication disorder and the recommendation is to attend small, regular, progressive class….hope to hear from u soon…best regards! I just want to ask, can you suggest a good pre school for my 3.5 year old daughter here in malate manila? I live near st. Scholastica manila. Hello, any feedback on St. Anthony School. Any suggestion for progressive schools here in Malate, Manila, near Vito Cruz. Thanks. May I ask for your recommendations to a progressive grade schools in the Roxas Boulevard areas, Pasay and Malate please? My daughter will be grade 1 this June . I worry about class size since my daughter is so shy. Thank you for your time! JASMS Manila. Established 1949. JASMS subscribes to the JASMS Way which is a locally developed, non-traditional and progressive education system.A charter member of the Philippine Accrediting Association of Schools, Colleges and Universities (PAASCU). 15 students max per class. Admissions office: 920-6311. Mommy Lyn thank you for taking time replying to me! I will drop by Jasms although there is a chance we will be staying at ROXAS Blvd. My daughter has Mandarin classes she went to ICY Heroes Hills Q.c. Re JASMS, please read my reply to Mommy Marison B.Y.. Now, Re Benedictine I.S., our daughter actually goes to that school. She’s 9 and she just finished Level-3. She’s a competitive swimmer & represents the school in inter-school swimming competitions, too. We’re very happy with the school. They have a “blended” program. “Traditional” when it comes to their curriculum. “Progressive” when it come to their method. They allow the kids to freely express themselves. We believe in that approach because it brings out the best in each child and helps in forming their character and personality. Kids become opinionated and confident. School uniform is very casual – polo shirt and pants.The school also teaches Mandarin and Korean in elementary. They are also very liberal and open in their method of teaching Filipino because most of the kids are “English-first” speakers.They explain and translate the Filipino words to English so the kids will learn faster.They also use the Singapore math method. The school also has a lot of extra-curricular activities which makes going to school fun for the kids. By the way, the grandchild of the owner actually goes to that school as well which shows how much confidence they have in their own program. Class size is 15 max. Tuition fee is around P100T (which is very reasonable compared to the tuition fee in other international schools). I have this personal method of “calculating” how much I’m getting my money’s worth – basically dividing the tuition fee by the no. of students. In other schools (traditional mainly), they usually have 40 students per class, right? So if you think about it, I think we’re getting more value for our money compared to other parents with kids in other schools because with a small class size, students get enough and equal attention from their teacher. @Mommy MADISON B. You’re welcome. Glad to be of help. Hi teacher tina! I find this blog very helpful. Have you heard of Sunshine on Iba st. In Sta.Mesa Heights, QC? They say they are Theosophical, I dont know what they mean by that, must be an organization or something. They have been around for 40years now so I heard. Can you suggest a progressive school in my area, Welcome Rotunda in QC. Thank you, teacher! God bless you. Pingback: Scouting for a School Series (SSS): Who is the Teacher? Please let me know what school is good near cubao please. Thanks. My son is incoming hs next year. I’m glad to have found this site and got excited about Benedictine International School. I am also looking for a traditional curriculum but with progressive methodology. Unfortunately, BIS is far from where we live. Can you please recommend schools near Pasig/Ortigas area. Thanks! Ask ko lng po if you know any progressive schools in Antipolo for secondary level?? Thank you po.. I am Telsy from Indonesia. We are moving in Manila in January. I have 2daughters- the first one is Tiara 5yrs and 8months and the second is Maia 2 and a half years old. We will be staying in apartment at Fort Area and l looking for a christian school for Tiara at Fort Area preferably as close to our place. What school are u suggest? Hi Telsy! You can try contacting The Abba’s Orchard https://www.facebook.com/abbasorchardschool. It is a Montessori school and I have been hearing good reviews about their curriculum. I have been looking for a new school for my incoming grade 1 son in Antipolo City for a month now. He studied at Montessori Children’s House during his Pre-school years but my husband would like to tranfer him due to mix classes in the lower elementary level on the said school. We applied in La Salle Antipolo but the tuition category that was given to us is category A, which is not that practical. Can you give any suggestions for a progressive school in Antipolo with reasonable tuition fee? Badly need it since it’s already the enrolment period. Thanks in advance. Please check ‘Domuschola IB School. The Admission person is Ms. Joy Ng. Effective June 2, 2014 we will be at our new campus in – J. Cruz Street, Baranggay Ugong, Pasig City Metro Manila, Philippines, 1609. Hi teacher Tina! My son is in grade 7 now in a traditional school. My question is, is it not too late for him to transfer to a progressive school? No Mommy Lot. Your son can enter at any age. The question is WHY are you transferring to a progressive school. Is it something that happened in the Traditional School? Is there a diagnosed learning disability? Do you feel that he will fit more in a progressive school? Can some give suggest a progressive school in Manila city that accepts grade 1? And also can somebody tell me is aguinaldo international school progressive or traditional school? My son is in a fairly new progressive school that follows an arts integrated curriculum. The idea is very attractive to me but having gone to a traditional school myself, I don’t know how to judge/gauge the school’s effectiveness in implementing such a curriculum. Also, because my son is just in pre-school it’s hard to judge because lessons are largely taught through songs, stories and dance just like in any other pre-school. I guess what I’m asking is how can I tell if the school is indeed implementing an effective arts integrated curriculum? Hope my dilemma is clear and looking forward to your thoughts on this. Thank you! We are currently in US and will be moving back to Philippines in relation my husband’s job assignment. We are looking for schools near SM Mall of Asia and we are looking into Aguinaldo International School. My son will be an incoming 7th grader and would love to hear any feedback. Thank you. Hi! Can you help me find a regular school (non-traditional way of teaching) for my 10 yrs old nephew who has epilepsy and learning disability. By the way, I’m from Pampanga.